People who advocate for social justice believe all members of society should have equal rights and access to opportunities. Although its values, assumptions, and approaches may differ from traditional psychology, social justice has an impact on our discipline. For example, psychologists have studied many topics related to social justice (e.g., prejudice, discrimination, and conformity), and several subfields have coalesced around these issues, including community psychology, multicultural psychology, and the psychology of women. Moreover, the ethical principles of the American Psychological Association (2002) even require psychologists to ensure that their work benefits and respects the rights of all people, regardless of age, gender, gender identity, race, ethnicity, culture, national origin, religion, sexual orientation, disability, language, or socioeconomic status. The standards urge psychologists to remain aware of these factors, avoid discrimination, and oppose unjust practices. The challenge that many psychology faculty members encounter in this regard is how to integrate social justice themes into their teaching. The discussion of how psychological knowledge can help solve social problems or why social and political factors are important for psychological understanding may not seem to fit within the framework of many of our courses. To assist psychology professors who are uncertain about how to proceed, I summarize four general teaching tips by which faculty can meaningfully address social justice in their classes. Social justice can be promoted by the content you teach. However, the desire to emphasize topics such as societal inequalities can be complicated because text material and core concepts within many subfields often ignore such issues. Here are two ways to bridge the gap. Explain to students that psychology is not always value free. Modern psychology is often framed as a science that uses empirical methods to advance knowledge about the mind, the brain, and behavior in an objective manner. However, students also should understand that psychologists’ worldviews shape the questions we pose in research, the strategies we use to answer those questions, and how we understand phenomena. For example, most psychological research uses quantitative methods. Students learn to conduct quantitative studies in research methods courses; instructors most often rely on quantitative findings to inform their lectures. Psychology instructors can teach about qualitative research that models greater power-sharing between researchers and participants through its open-ended questioning and community immersion (Kidder & Fine, 1997). Moreover, qualitative research can advance social justice by amplifying the voices of research participants, particularly people who have been mischaracterized by psychology and broader society, such as women, people of color, and sexual minorities. Question whether important phenomena or research findings addressed in class are relevant or even applicable across different groups of people. Discuss whether foundational research involved representative samples and review whether findings have been replicated across gender, race, and social class. Examine if the experiences of historically disenfranchised people are reflected in the questions asked. I generated each of these topics by asking the question, “What are the implications of traditional course information for society and the disenfranchised?” Consider the influence of culture, class, gender, and similar categories on the material that you traditionally cover. Examination of these issues can be deepened through newspaper articles, state and federal budgets, biographies, interviews, and literature. Similarly, course content can be connected to social issues by inviting speakers or community representatives into the classroom. Some guests may be experts (e.g., local elected officials, social service professionals), whereas others may share their personal and relevant experiences (e.g., people who are homeless, people with HIV/AIDS). Expanding the scope of inquiry increases students’ awareness about social problems, promotes empathy for marginalized groups, and encourages students to question the status quo. Promote students’ self-examination during in-class activities. In-class, interactive exercises are a powerful vehicle for promoting students’ awareness of the complexity and pervasiveness of inequalities. Adams, Bell, and Griffin (1997) present curriculum designs and modules that address and challenge racism, sexism, heterosexism, ableism, classism, and anti-Semitism. Representative activities that target racism include placing students in small groups to: Identify the aspects of their own racial/ethnic heritage about which they are proud, review patterns in their personal relationships regarding people from different backgrounds, articulate ways in which society supports racism, encourage frank and respectful dialog between students of different races, and identify ways to take action. Help students talk with others who are different through interview assignments. Students can learn more about the scope of oppression by interviewing people from marginalized groups, visiting their neighborhoods, and exploring the quality of services (e.g., schools, hospitals, housing, transportation, recreational facilities, and stores) that are available in their communities in contrast to those of privileged groups. Encourage students to speak out for change in social action projects. It is increasingly important for psychology students to understand the connections between research, practice, and public policy. These linkages often have social justice implications. 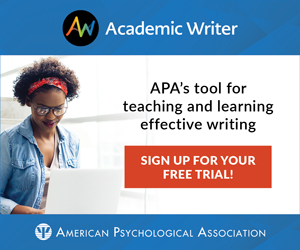 Psychology professors can create class assignments that can impact others on a political level, such as having students explore pending state and federal legislation and to advocate for disenfranchised people by writing opinion editorials or letters to legislators. Students can use the Internet to research relevant policy when formulating their responses. The Library of Congress maintains Thomas (http://thomas.loc.gov/), an online resource providing federal legislative information to the public, including congressional bills, resolutions, roll call votes, and committee reports. Students can search key words related to course content (e.g., children, brain, prejudice, mental illness) to determine an advocacy agenda. The Public Policy Office of the American Psychological Association (http://www.apa.org/ppo/) is also an invaluable resource. Most germane are links pertaining to public interest policy that address supporting children, women, ethnic and sexual minorities, disabled people, and older adults (http://www.apa.org/ppo/pi/). Similarly, the website sponsored by Psychologists Acting with Conscience Together (http://www.psyact.org) provides information and advocacy tools on topics related to poverty, violence, education, human rights, and mental health. With content-relevant, social justice-oriented information, students can speak out against oppression and effect change. Use service learning as a core assignment. Service learning, in which students volunteer with underserved or marginalized populations and connect their site experiences to coursework, can be a transformative experience that furthers social justice, has a positive impact on reducing stereotypes, facilitates cultural and racial understanding, and enhances civic responsibility. Service learning is most successful when students have opportunities for reflection and critical analysis through written assignments and class discussions that tie course concepts with field experiences. Although students and faculty commonly find sites that allow direct contact with people in need (e.g., assisting in hospitals or mental health facilities, tutoring at-risk children, volunteering in community centers that serve lower-income populations), a commitment to social justice also involves attending to broader, societal dynamics evident in the placement. As such, students can reflect on the challenges faced by people who are served by the organization because of societal inequalities, or may volunteer at a site that focuses on advocacy or policy reform. Activities may also involve students assisting a community organization or group by using psychology-relevant skills, such as completing a needs assessment or evaluating the effectiveness of a program. Students in a psychology of women course organize a “Take Back the Night” demonstration on campus. Child development students lobby university officials for the creation of a subsidized, on-campus child care center for children of students and employees. Social psychology students create a new campus organization to promote interfaith and interracial dialog and invite community leaders to catalyze discussions. Industrial/organizational students organize a protest of a mega-store that engages in unfair labor practices and gender bias in its hiring and pay. Research methods students conduct a campus-wide survey of attitudes toward LGBT students and present their analyses to university officials to support programming that promotes tolerance and inclusiveness. Social justice also can be promoted by how you teach, regardless of what you teach. Instructors who are concerned with social justice often question conventional notions of authority in college classrooms because it may parallel or reinforce how power is exercised more broadly in society. For example, Friere (1970) criticized the “banking model” of instruction in which professors maximize their control by exclusively determining course content and relying on lectures to transfer information from themselves to their students. Responsive goal-setting, to provide students with a voice in deciding which topics are emphasized within the course. Cooperative learning, to encourage students to interact with others (especially those who have a different background in terms of race, ethnicity, social class, age, gender, or sexual orientation) through problem-based learning, laboratory exercises, and group activities (see Ware & Johnson, 2000 for many concrete examples). Instructor self-disclosure as appropriate, to model openness. These teaching methods have been shown to increase college students’ educational success, and African American and Latino students actually benefit the most in terms of grade improvement and college retention rates (Kuh, Kinzie, Cruce, Shoup, & Gonyea, 2006). Reflect on your own attitudes and experiences. For many instructors, the process of creating an inclusive classroom involves a close examination of their own attitudes toward race, class, and gender, and consequently assessing how these beliefs affect their teaching. For example, professors may not ordinarily think about how students of color or from lower income backgrounds may be hesitant to challenge them during a Socratic dialog or attend office hours because of their socialization and previous experiences with authority figures. “Why are we talking about this stuff in a course about psychology? This isn’t what we’re supposed to cover!” First, instructors who incorporate social justice often need to explain that psychology aims to understand and help all people, regardless of their race, age, gender, ethnicity, socioeconomic status, or sexual orientation. In fact, psychologists have misrepresented or excluded women and many minority groups in their research and theorizing for decades (Guthrie, 2003); this situation needs to be actively corrected today for the sake of accuracy and fairness. Second, professors can explain that it is important for all students to feel that course material is relevant. Examining the representation and experiences of historically disenfranchised groups is critical, especially for an increasingly diverse undergraduate population. Third, a social justice orientation allows students to make a difference in the lives of others. Most students initially believe that psychologists help others only through psychotherapy at the individual level; however, professors can explain that a social justice approach teaches them about how to affect change on the macro level by advocacy and social action. “This is all liberal rhetoric and I’m not a liberal. Why should I listen to this?” Although liberals are often concerned with social justice, the movement traces its origins far beyond contemporary progressive politics. The Hebrew Bible exhorts followers to care about the well-being of and justice for the poor (Leviticus 25:8-55, New International Version; Proverbs 29:7) and to maintain the rights of the oppressed (Psalm 82). Christian Scripture highlights virtue in marginalized groups (e.g., Parable of the Good Samaritan, Luke 10:25-37) and underscores the need to feed the hungry, clothe the naked, and care for the stranger (Matthew 25:31-46). The roots of social justice also are evident in the writings of philosophers such as Rousseau and Locke. Regardless of their ideological convictions, students should understand that psychological knowledge coupled with a social justice focus helps them to become more informed and engaged citizens. Ultimately, psychology professors can tailor the inclusion of social justice in a way that respects their content area, their personal beliefs, and the characteristics of their students and institutions. Some faculty may implement these steps gradually or in part. For example, students often welcome the participatory teaching styles reviewed earlier; they are also likely to be receptive to completing flexible social action projects or learning about and helping poor children. Regardless of the precise implementation, addressing social justice encourages students to understand individuals and psychological processes within a broader framework. It also provides psychology professors with a window to help create a fairer and more tolerant society. Adams, M., Bell, L.A., & Griffin, P. (Eds.). (1997). Teaching for diversity and social justice: A sourcebook. New York: Routledge. Friere, P. (1970). Pedagogy of the oppressed. New York: Continuum. Guthrie, R.V. (2003). Even the rat was white: A historical view of psychology (2nd ed.). Boston: Allyn & Bacon. Kidder, L.H., & Fine. M. (1997). Qualitative inquiry in psychology: A radical tradition. In D. Fox & I. Prilleltensky (Eds. ), Critical psychology: An introduction (pp. 34-50). Thousand Oaks, CA: Sage. Kuh, G.D., Kinzie, J., Cruce, T., Shoup, R., & Gonyea, R.M. (2006). Connecting the dots: Multi-faceted analyses of the relationships between student engagement results from the NSSE, and the institutional practices and conditions that foster student success. Bloomington: Center for Postsecondary Research, Indiana University. Prilleltensky, I., & Nelson, G. (2002). Doing psychology critically: Making a difference in diverse settings. New York: Palgrave Macmillan. Thank you so much for sharing the article. It is well-written and informs very clearly about the relationship of Psychology and Social Justice. I appreciate your inputs. Very well thought out and interesting article! Just been introduced to the idea of social justice with psychology and realize how well the two go together and how many issues they are able to address.